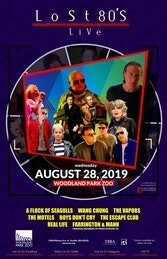 Bands playing at the zoo have to turn down the volume, owing to local noise ordinances, so the music comes out intriguingly twisted from its norm. X owe a fair amount to country music, in the harmonies at least, so I’m thinking they’ll pump up the country, which is good for the music, if not so much for the band’s attitudes (one’s a Trumpeter, and one sees left-wing conspiracies everywhere). 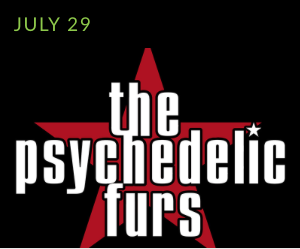 British post-punk/new-wave group the Psychedelic Furs owe nothing to country, but Richard Butler could still hypnotize you with his rasp. And you’d get his lyrics without a lyric sheet, for once!